In Balepet, 15 buildings have turned out to be a bottleneck for the Metro tunnel-boring machine Kaveri after it damaged the buildings. The contractor of the Metro work has already issued notices to the occupants to evacuate the buildings. Once the machine burrows under these buildings, it will reach Metro intersect station in Majestic. Chief PRO of the BMRCL Vasanth Rao said that the identified 15 buildings are old and are in poor condition. The occupants have to evacuate seven days before the machine approaches the buildings. 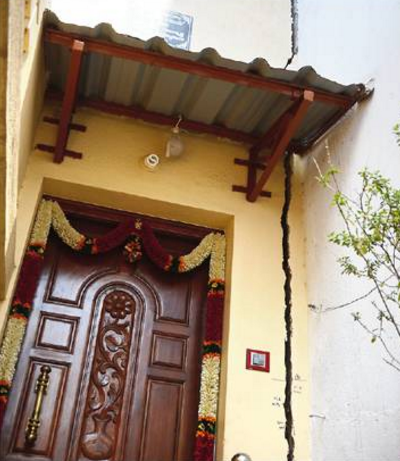 After the reports of damage to the buildings, Kaveri is stalled for time being. After analysing the safety measures the machine will be operating again, the officials said. On Thursday, Metro workers were seen taking up repair works and grouting in the area. “Everything is going well. The contractor is taking the most care in the process. 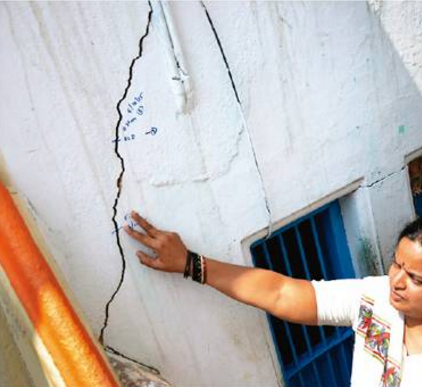 There are various reasons why cracks have appeared on the walls of some of the buildings. The buildings are very old; some are even more than 60-year-old. Moreover, they do not have solid foundation and a number of floors are built within small areas. Cracks have appeared in those old buildings due to the vibration of the tunnelling work. We have taken various precautions with the help of experts,” Vasanth Rao said. Meera, one of the residents, said, “The metro officials met us and assured that they would compensate us for the damage. Repair work will be taken up soon. But we are more worried that the tunnelling work could have damaged the foundation itself and it could lead to collapse of the buildings. We are hoping that we will receive compensation as promised.” Her family is living a house which was built in the 1950s, she said. Rao said that another TBM Krishna which is yet to start tunnelling from Chickpet stations will burrow under close to 40 buildings. The contractor has already identified 29 buildings which are in poor state.